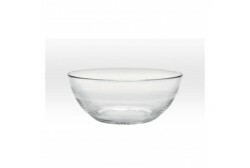 Bowls / There are 2 products. 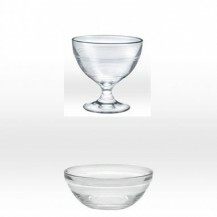 We sell only Frances Duralex companies tempered bowls. The tempering process is what makes Duralex so tough. Glass that has been heated to around 700°C is suddenly cooled by cold air ventilation. This treatment creates controlled stress in the glass which improves most of its physical qualities: resistance of mechanical stress (bending, impacts) and thermal shock. 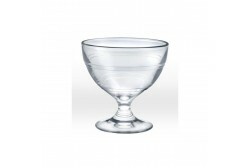 Duralex glass is 2.5 times stronger than annealed glass and is capable of enduring a thermal shock of 130°C. 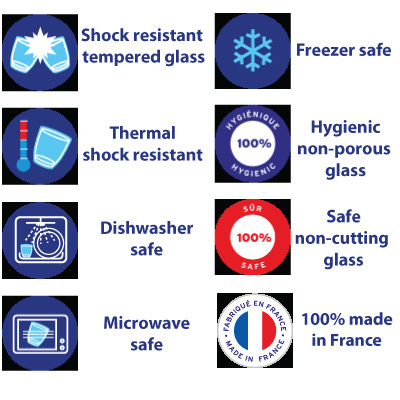 Virtually unbreakable, if however Duralex tempered glass does break in your hands, there is no risk of injury. It bursts into a multitude of blunt pieces, for your safety. This also applies to tempered glass that is used to make windscreens.